Through ENRICH program, Proyas is providing primary health care services at the door-steps of all 7,850 households of the selected working area. Our health personnels and the field health facilitators are providing this PHC services through health screeing at household level, through static and satellite clinics and also ensure the referral services to Upazilla health complex or to district hospitals for secondary and tertiary level of services needed, as and when appropriate. The services include health education, Ante-natal Care/Post-Natal Care (ANC/PNC), emergency obstratic care, family planning, treating anemia, conjunctivitis, Urinary Track Infection (UTI), early detection of pneumonia, managing diarrhoea and dysentery, and treating bacterial infections etc. The community level health awareness raising includes, exclusive breast-feeding (including colostrums feeding), handwashing, water & sanitation, adolescent reproductive health, adolescent nutrition, birth planning, personal hygiene, supplementary feeding, immunization, etc. The services through the static clinic are provided by Proyass health personnels (paramedics) daily and the services through the satellite clinics are provided in collaboration with the government medical doctors from Upazilla Health Complex bi-weekly (8 clinic days per month). Since inception of the service component, a total of 33,124 individuals received Primary Health Care Services through 467 satellite clinic days and 2,344 static clinic days. 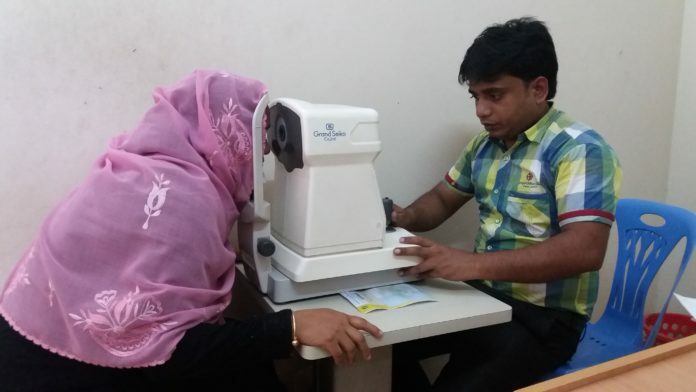 In addition, 3,587 individual received services on diabetic detection and 209 individuals were provided cataract operation services through eye camps organized by Proyas. In this working area, a total of 7,850 families are registered with health cards.